Tablet cover made of canvas and recycled rubber. Green. Size: 30 x 20 cm. fair trade by Kinta. Tablet cover made of canvas and recycled rubber. Khaki.Size: 29 x 20 cm. fair trade by Kinta. Shopper Big Fair Bag. Available in blue, red, orange and green. Fairtrade by Fair Trade Original. 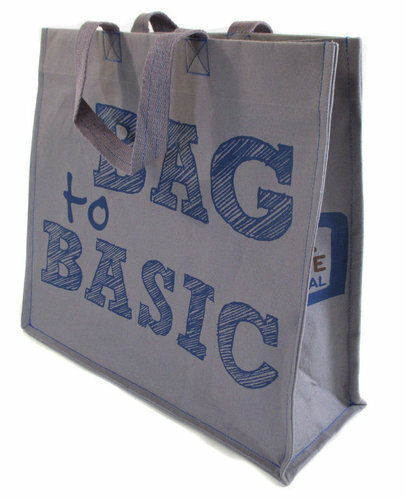 Grey shopper Bag to Basic. 40 x 40 x 14 cm. Grey with blue text. Fairtrade by Fair Trade Original. Jute shopper Picto. Available in blue, red, orange and green. This Side Up (green)Fairtrade by Fair Forward. Jute shopper Picto. Available in blue, red, orange and green. Fairtrade by Fair Trade Original. Jute shopper Picto. Available in blue, red, orange and green. Fairtrade by Fair Forward. Jute shopper Picto. Available in blue, red, orange and green. Fairtrade by Fair Trade Original.. Double bike bags. Fair Bike Bag. Made of canvas. Coated inside. Fair trade from Fair Forward. Khaki shoulderbag. Made of khaki canvas and black rubber. Fairtrade by Kinta. 38 x 36 x 16 cm. Canvas shoulderbag. Grey Leaves. H 19 x B 24. Handmade and fairtrade. Coated canvas. Blue and beige backpack. H 40 x W 30 x D 15 cm. Canvas. Fair trade bag made in the Phillippines. Cream coloured backpack. H 35 x W 27 x D 9 cm. Canvas and rubber details. Fair trade bag by Kinta. Made in the Phillippines. Blue and yellow backpack. H 35 x W 40 x D 11 cm. Canvas. Fair trade bag by Kinta. Made in the Phillippines. Blue-beige canvas laptop bag with rubber details. 35x30x8 cm. Fair trade, made in the Phillipines. Khaki shoulderbag. In khaki canvas and recycled rubber details. Fairtrade by Kinta. 28 x 28 x 8 cm. Grey denim backpack. H45xW35xD10 cm. Tied and dyed denim. Fair trade bag by Kinta. Made in the Phillippines. Grey denim backpack. H40xW30xD10 cm. Tied and dyed denim. Fair trade bag by Kinta. Made in the Phillippines.